Note: This product is only available from Mollie Music to customers in the UK and Europe, Canada & USA. Please do not order it from us if you are elsewhere as postage and tracking costs make it more expensive from us than you can buy elsewhere, and partly because of its PAL format, which is not always compatible in other countries, such as USA without a converter box. The Enigma of Nic Jones is a beautiful, award-winning documentary directed by Michael Proudfoot and narrated by Cerys Matthews, with contributions from Nic Jones, his friends, family, collaborators and musicians inspired by the man and his music. After a forced absence from performing of nearly thirty years, Nic Jones’ reappearance on the folk scene in 2011 was rapturously welcomed, accompanied in concert by his son Joe and as a trio with Belinda O’Hooley on piano. In 2013, Nic was named Folk Singer of the Year at the BBC Radio 2 Folk Awards. 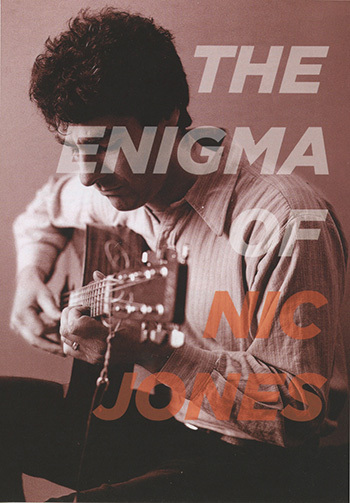 This arguably overdue accolade underlined the esteem in which Nic’s work and place in folk music is held, and was a significant marker in a journey that has taken Nic from respected session musician to established solo artist, then to folk-hero and crossover success via his now-classic Topic album Penguin Eggs.